Millions of people visit gorgeous Miami Beach, Florida, every year for all of the fun, the sun and the excitement that the city has to offer, and those who want the easiest access to all of the best water activities in the area choose to stay with us here at the exclusive Beacon South Beach Hotel. Thanks to our excellent location on Ocean Drive, you’ll be just steps away from world-famous South Beach and the beautiful Atlantic Ocean. These are just a few of the excellent water activities that our guests enjoy the most during their stay with us. In Miami, everything is possible, and that includes flying over the ocean without the benefit of an airplane. Flyboard rentals are available for 30 minutes to a full hour, and simple instructions guarantee that you’ll be flying safely within the first five minutes. Water that is propelled by a personal watercraft powers this cool flyboard, and you’ll have a hand nozzle to control your stability while you’re in the air. Scientists promised that we would all be traveling around with jetpacks by now, but that never happened. However, your Miami visit can provide you with a jetpack ride that can take you into the air above the water and rapidly through and under the water as well. The most up-to-date hydraulic technologies will allow you to fly comfortably in a seated position, and you’ll experience a completely safe and exciting journey thanks to your own personal certified flight instructor and flight navigator. Miami’s party vibe doesn’t stop at land’s end, and you haven’t really partied until you’ve taken a cruise on a party boat. Up to 42 people can gather together on this large boat for some fun and good times, and your free to enjoy yourself to the fullest while being safely escorted across the waters by a professional captain and crew. A great sound system with a Bluetooth connection is included on the boat, and you’ll also have access to a huge cooler full of ice. 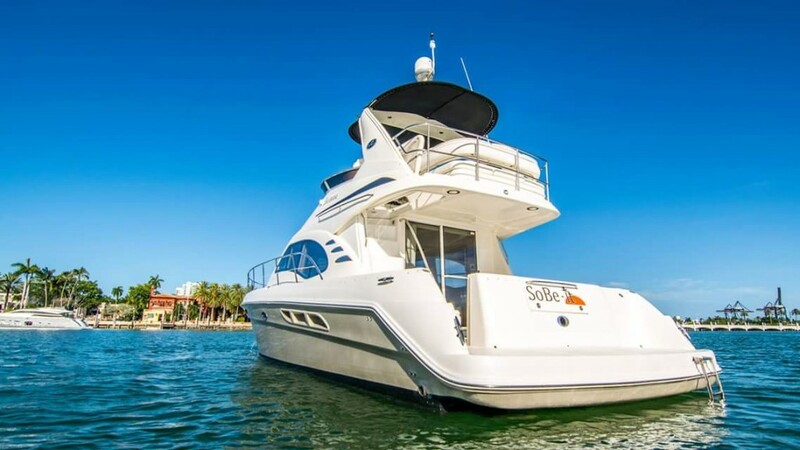 This is the perfect little sailboat for up to two couples or four friends to explore spectacular Biscayne Bay. Sailing lessons are available, or you may rent a boat if you already know how to use it. You’re sure to enjoy a day of sailing in this area that is protected from the rough ocean waves, and you’ll definitely see plenty of dolphins and manta rays in the clear blue waters. It doesn’t get any better than this. Just imagine the feelings of freedom and excitement as you soar some 800 feet above the ocean waters in a perfectly comfortable sitting position right next to your sweetheart or your best friend. There’s no better way to enjoy the most amazing views of the Everglades, Fisher Island and Miami Beach, and you’ll also need only look down to see manatees, dolphins, manta rays and sea turtles swimming beneath you. 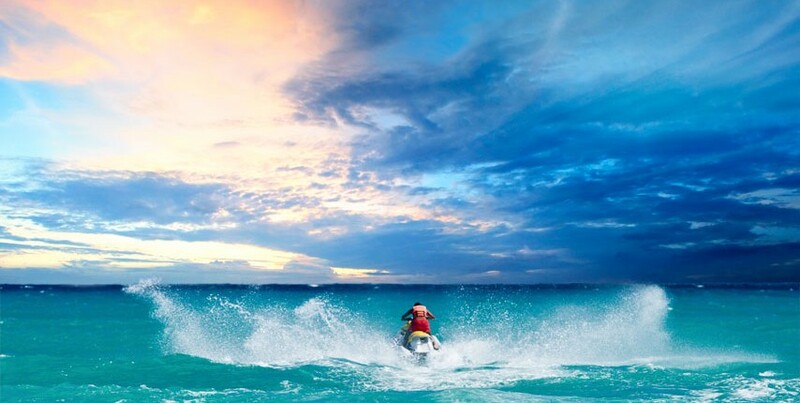 If you’re ready for some high-energy fun on the water, then you’re going to want to spend some time racing across the waves on a jet ski. Two-person jet skis are available so that you can enjoy the experience with your travel companion, and guided tours are available to take you to all of the best spots. Rent a boat with a professional captain and crew, and you can head out on the trip of your choice. Maybe you’d like to try your luck on a fishing expedition, check out the local sandbars or just enjoy a day of safely exploring the ocean waters. Up to eight people may be comfortably accommodated on a 25-foot boat, and you can rent by the hour or the day. We encourage visitors to make their reservations with us early to ensure that a room will be available during their desired dates. Our entire staff looks forward to your stay, and you can learn more about all of the nearby water adventures that you may want to enjoy during your Miami vacation by visiting Miami Watersports.